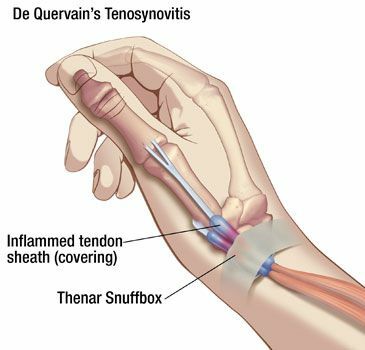 De Quervain’s Tenosynovitis: De Quervain’s tenosynovitis is a painful situation that affects tendons where they run within a tunnel on the thumb side of the wrist.De Quervain’s tenosynovitis, will apparently hurt when you turn wrist, grasp anything or make a fist. Overuse of wrist is commonly linked with de Quervain’s tenosynovitis. Workers who perform rapid repetitive activities including pinching, grasping, pulling or pushing have been estimated at increased risk. When you grasp, grip, clench or pinch anything in hand, two tendons in your wrist and lower thumb usually glide smoothly within the base of the thumb. 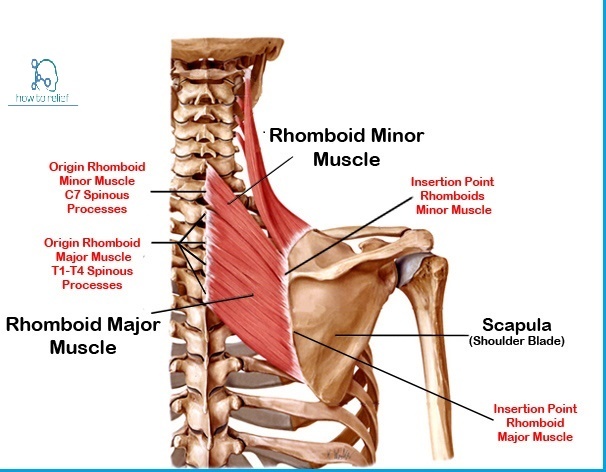 Repeating a particular motion may swell the sheath throughout the two tendons, causing thickening and swelling that restricts their movement. 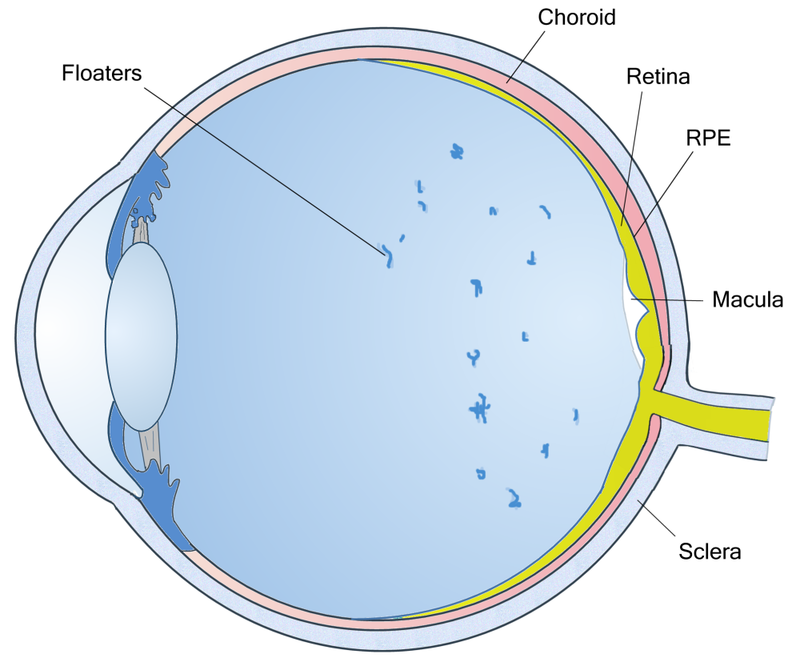 Specific activities that have been hypothesized as potential risk factors involve intense computer mouse usage, trackball use, typing, as well as some pastimes, including bowling, golf, fly-fishing, sewing,piano-playing, and knitting. Women eight to 10 times more often than men. Lifting your child repeatedly involves using your thumbs as leverage and may also be associated with the condition. 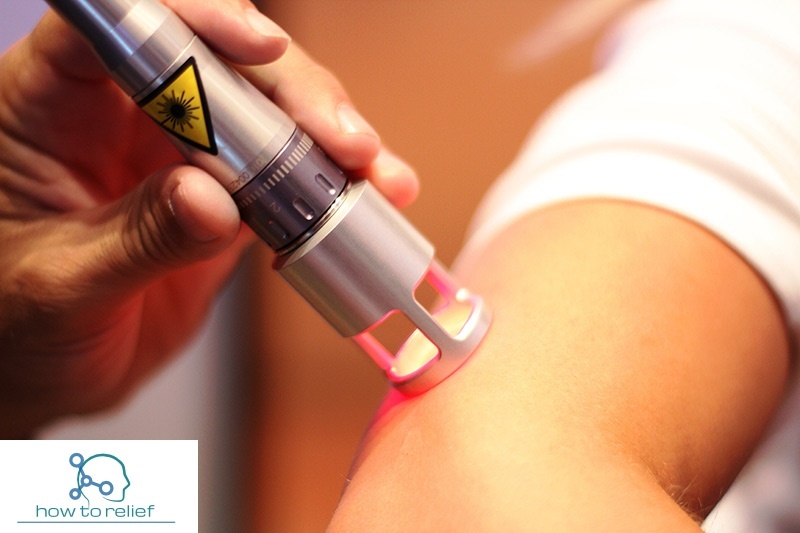 Scar tissue can restrict the movement of your tendons. You have injured your wrist. Hormonal changes during pregnancy can cause it. Pain at the radial side of the wrist. Pain is worse by movement of the thumb and wrist and may spread to the thumb or the forearm. 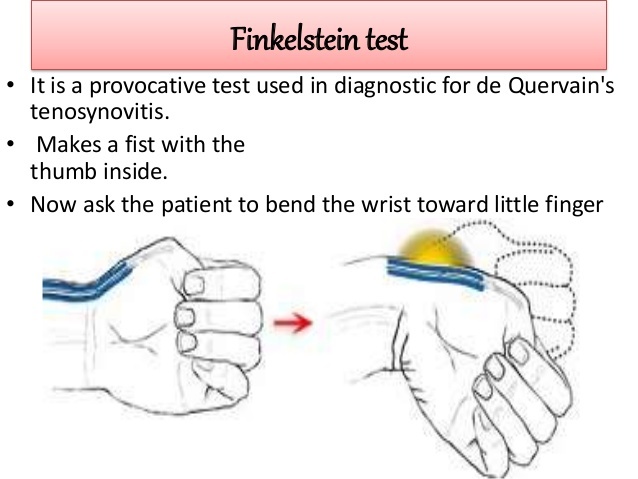 To diagnose de Quervain’s tenosynovitis, your physician may do the Finkelstein test. First, bend your thumb so it rests your palm. Then you do a fist, closing your fingers over your thumb. Last, bend the wrist toward your little finger. If tenderness or pain at the base of the thumb, you probably have de Quervain’s tenosynovitis. 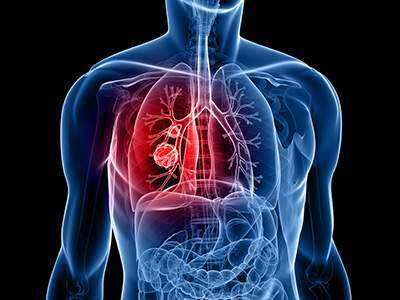 Other tests such as X-rays normally aren’t needed to diagnose the condition. Sometimes X-rays is done to rule out fracture & arthritis. Treatment for de Quervain’s tenosynovitis is to relieve the pain and improve mobility and function. 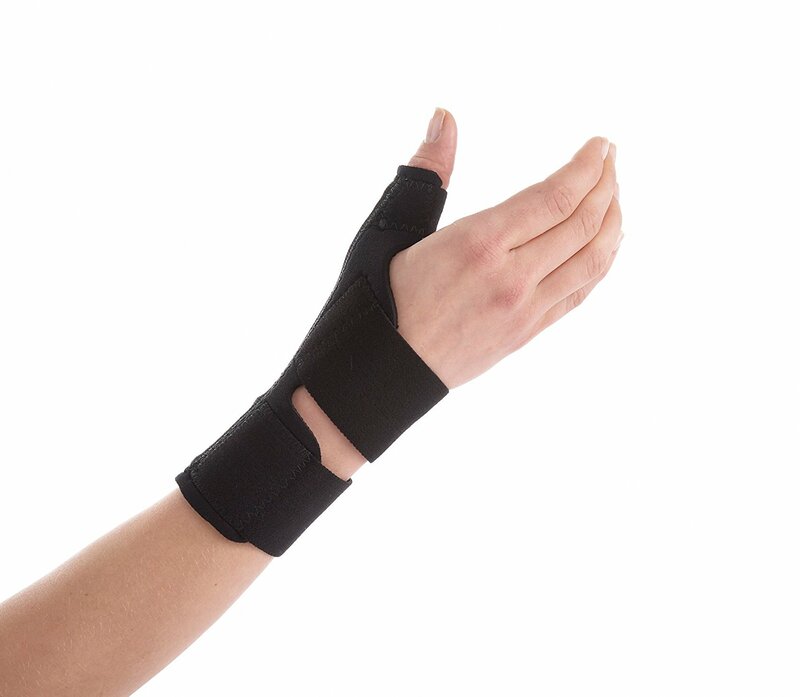 Treatment usually requires wearing a splint to immobilize the injured area and avoiding any activities that may aggravate the condition. 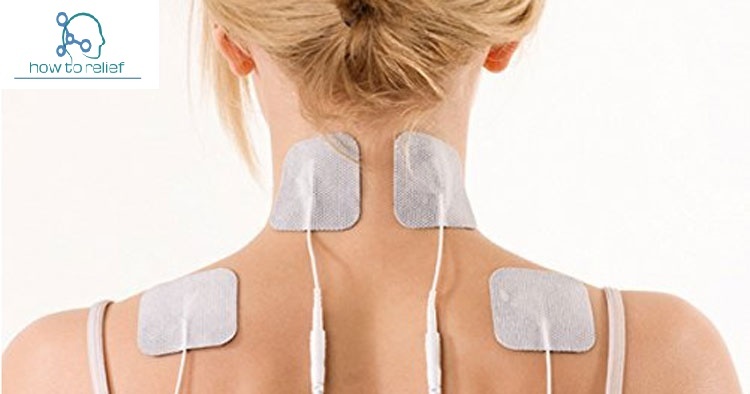 Ice may also be implemented to diminish inflammation. Manual therapy from the physiotherapist such as massage, trigger point releases, joint mobilization to the wrist, thumb, and hand, stretches and electrotherapy can support to heal and gaining flexibility and function in patients with De Quervain’s tendonitis. If symptoms continue, your physician may give you anti-inflammatory medication – such as ibuprofen and naproxen may be taken orally. Injection of corticosteroids within the tendon sheath may assist diminish swelling and pain. 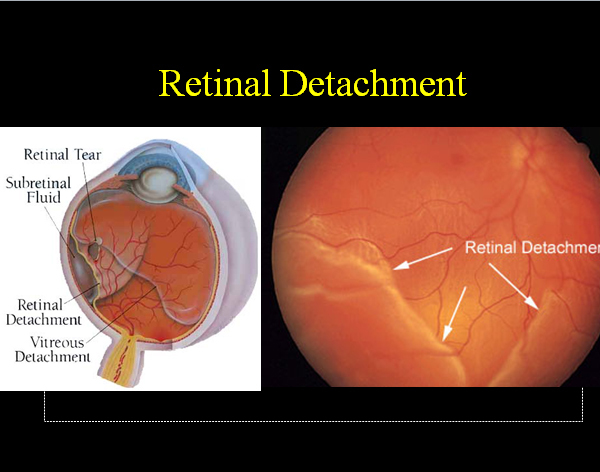 If de Quervain’s disease does not respond to conservative treatment, surgery may be recommended.